Justice Is Mind will have its international premiere on Cunard Line’s newest ocean liner Queen Elizabeth on October 29, 2014. Director Mark Lund will present the screening onboard and host a filmmaking presentation for guests. WORCESTER, Mass. - June 17, 2014 - PRLog -- Justice Is Mind, the acclaimed psychological courtroom drama that has been screening at theatres, universities and science fiction conventions throughout North America, is pleased to announce its international premiere on Cunard Line’s ocean liner Queen Elizabeth on October 29, 2014. Mark Lund, Justice Is Mind’s writer/director, will present the screening onboard and also host a filmmaking presentation for guests. Justice Is Mind premiered in August 2013 and concluded that year as the 8th highest independent film released on IMDB (Internet Movie Database). Since its release, Justice Is Mind has met with scores of positive reviews. “A psychological thriller, which develops slowly and then grips you with its logical twists and mysteries, haunting you afterward," – Barnstable Patriot. “So much intelligence in the dialogue,” – Unsung Films. “The characters…are strong and believable,” – Frisco Kid at the Movies. 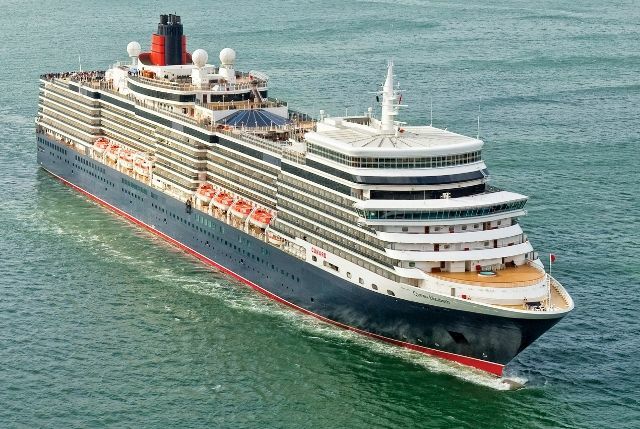 The Queen Elizabeth (Cunard voyage number Q418) has the following itinerary for this event: Friday, October 24 depart Rome, Italy (from Civitavecchia); Saturday, October 25 at sea (Mark Lund to host filmmaking seminar); Sunday, October 26 Corfu, Greece; Monday, October 27 Kotor, Montenegro; Tuesday, October 28 Dubrovnik, Croatia; Wednesday, October 29 at sea (International Premiere of Justice Is Mind); Thursday, October 30 Venice, Italy and Friday, October 31 Venice, Italy - Disembark AM. “It was in 2009 when I saw a 60 Minutes story that discussed ‘thought identification’ mind-reading techniques that were being developed by Dr. Marcel Just and his team at Carnegie Mellon University,” added Lund. Hosted by Dr. Just and Mark Lund Justice Is Mind screened at Carnegie Mellon University in April. Justice Is Mind [http://www.imdb.com/title/tt2289920/] stars Vernon Aldershoff (Henri Miller), Robin Ann Rapoport (Margaret Miller), Paul Lussier (John Darrow) and Kim Gordon (Constance Smith). Co-starring Richard Sewell (Joseph Miller), Michele Mortensen (Maria Miller), Carlyne Fournier (Dr. Eve Pullman), Dmitri Aldershoff (Gary Miller), Chara Gannett (Nancy Miller), Mary Wexler (Judge Wagner), Jesse Mangan (Brian Kovski) and Steven Scott (Police Detective). Cunard Line, operator of the luxury ocean liners Queen Mary 2, Queen Victoria and Queen Elizabeth, has long been synonymous with the quest for new discoveries and the epitome of British refinement since the company's first paddle-wheeled steamer, Britannia, crossed the Atlantic in 1840. Cunard voyages bring together like-minded travellers who seek a civilised adventure and relish the Cunard hallmarks of impeccable White Star Service, gourmet dining and world-class entertainment. Today, Cunard offers the only regularly scheduled trans-Atlantic liner service and continues the legacy of world cruising which it began in 1922. Mark Lund is an award winning magazine publisher, thrice award nominated screenwriter, television personality, producer, director and writer. He has produced and directed for television (commercials) and stage. As a TV personality, Lund starred on FOX’s Skating with Celebrities and served as a TV analyst for the sport of figure skating for over ten years most notably for CNN during the 2002 Winter Olympics in Salt Lake City. His first screenplay, First World, a science fiction drama, was nominated for three screenplay awards and later condensed to a short film version that screened in several countries. He is the author of Frozen Assets and First World: Covenant. Lund’s short film, Justice Is Mind: Evidence had its world premiere in 2012 which led to the financing of the feature film version. Since its world premiere in August 2013, Justice Is Mind has been screening at theatres, universities and science fiction conventions throughout North America and will soon be available on video on demand.